With the Super Bowl taking place this weekend, we take a look at how American whiskey sales are growing in the UK, and pick some of our favourites for you to enjoy in front of the big game. Due to recent, ahem, disagreements between the European Commission and the current US administration, there’s currently a whopping 25% tariff imposed on American whiskey (you may have noticed how your favourite bourbon isn’t quite as good value as it once was). People were predicting catastrophe for American whiskey exports – and yet, the UK market is not only holding up, it is positively booming. For at least as long anyone reading this has been alive, rye-heavy mash bills have been the domain of US producers. Here in the UK, we’re a nation of single malt lovers – we always have been – but lately, British distillers are increasingly turning their attention to the bad boy of the crop world. The question perhaps is not ‘why rye?’, but ‘why now?’. Mason highlights growing interest and demand for craft spirits, which he believes is prompting “a real willingness to step outside of traditional UK and European categories”. Specifically, aged rye whisky. Introducing a new Master of Malt blog series (trumpets sound): every Wednesday we will present our cocktail of the week. It might be a new serve from a swanky bar or something more familiar. First up, we have a forgotten classic from the golden age of cocktails: the Brooklyn! You’ve probably had a Manhattan, and maybe a Bronx. But did you know that there are cocktails named after other boroughs of New York City, the Queens and the Brooklyn*? The Brooklyn was invented around the beginning of the 20th century. It is first mentioned in J.A. Grohusko 1908 bartender’s handbook, Jack’s Manual. 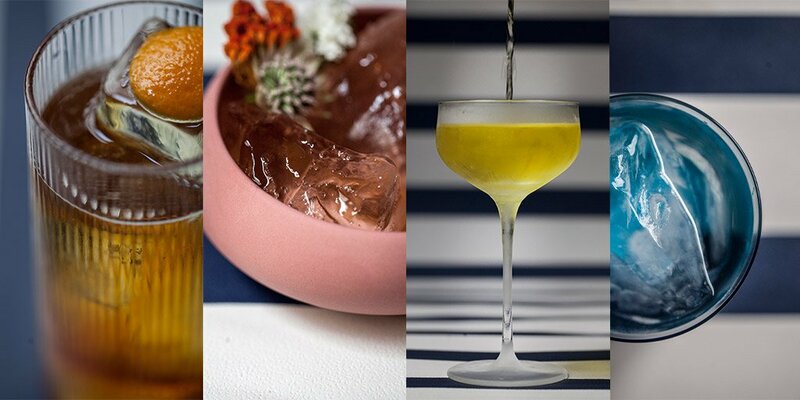 The Brooklyn is part of the great family of whiskey-based cocktails that includes the Old Fashioned, the Sazerac and, of course, the Manhattan. But whereas the Manhattan is made from ingredients that most cocktail enthusiasts will have in their cabinets, the Brooklyn requires more specialist kit. The secret ingredient is Amer Picon, a bitter French drink made with gentian, quinine and oranges. As Brooklyn-based New York Distilling Company approaches its seven-year anniversary, distillery co-owner and industry legend Allen Katz delves into rye heritage, historic mashbills, and creating “a new American whiskey that tastes of more than just wood”. Q&A: Dave Pickerell, Whistlepig master distiller! No Comments on Q&A: Dave Pickerell, Whistlepig master distiller! WhistlePig is a distillery that’s made the headlines for many reasons over the years, from founder Raj Bhakta’s original dream of making rye whiskey in Vermont and its first releases to the brand’s cameo in Breaking Bad and everything in between. We meet master distiller Dave Pickerell to discuss recent events as WhistlePig FarmStock Rye Crop No.002 hits the shelves here in the UK. MoM: Hello Dave, welcome to London, could you tell us how you first got into making whiskey? Dave Pickerell: I enrolled at the University of Louisville and was studying for my Masters degree (in chemical engineering) and discovered that I’m an idiot savant at distilling! Truly, it’s not about smarts; it’s about some innate sense that I can close my eyes and see molecules running around in a still and know where they’re going next and why. My mentor told me that the beverage alcohol industry needed me. And there was a small consulting firm in Louisville that did nothing but beverage alcohol and they’d just landed a contract and it was more than they could handle and they needed another chemical engineer. I got to work in China, Mexico, Canada, Scotland, the Dominican Republic, and all over the US. I learned about fine spirits, and lousy spirits, all over the world. Glenmorangie Spìos: Single malt matured entirely in ex-rye whiskey casks! No Comments on Glenmorangie Spìos: Single malt matured entirely in ex-rye whiskey casks! Yesterday Highland distillery Glenmorangie released its ninth Private Edition innovation, Glenmorangie Spìos, and outlined plans to boost production capacity with a multi-million-pound still house. Interest firmly piqued, we headed to a M Den in London’s Victoria for a tasting led by Dr Bill Lumsden and Brendan McCarron. Indeed, creating Spìos (Scots Gaelic for ‘spice’; pronounced ‘spee-oss’) was no easy ride. The idea stemmed from conversation with late beer and whisky writer Michael Jackson back in the late 1990s during Dr Lumsden’s tenure as distillery manager – a period when the American rye whiskey category was “almost on life support”. As we approach the end of Drinks by the Dram’s Whisky Advent Calendar, Day #21 brings a festive celebration from across the pond! Could there be a more Christmassy place in the world than New York City in December? You’ve seen the films (Miracle On 34th Street, Home Alone 2, Die Hard) – Christmas in NYC is the stuff dreams are made of! Why am I suddenly talking about NYC? Well, it might have something to do with the whiskey hidden away today in Drinks by the Dram’s Whisky Advent Calendar… Hudson Manhattan Rye! Pikesville 6 Year Old 110 Proof Straight Rye is Back in Stock! No Comments on Pikesville 6 Year Old 110 Proof Straight Rye is Back in Stock!